King George I of the Hellenes was assassinated today at Salonika through Salonika. He was shot by a Greek, who was "said to be a socialist, while talking a walk down the main street. The attack took place at 5:15 p.m. The king died 30 minutes later. "Since his triumphal entry into Salonika, the King had been accustomed to take an afternoon walk, either to the famous White Tower or to the cavalry barracks," reports the New York Times. Despite repeated warnings for his safety, "the King's confidence in the people was so great that he went about freely attended by a single equerry." He was in an upbeat, happy mood as he walked toward the White Tower. He talked about the war, the Greek armies and the capture of Yanina and Salonika, which was seen as a "fitting climax to his fifty years' reign." He said to his aide: "Tomorrow when I pay my formal visit to the dreadnought Goeben, it is the fact that a German battleship is to honor a Greek King here in Salonika that will fill me with happiness and contentment." These were the king's last words. At only two paces away, Aleko Schinas, "a Greek of feeble intellect" fired a gun into the king's back. The bullet entered "below the shoulder blade and made its exit from the stomach." The king slumped to the ground. The jeweled cross that he always wore was "smothered with blood." The King, as Prince Vilhelm of Denmark, was only 17-years-old when he was elected king of the Hellenes. His older sister, Queen Alexandra, was said to be stricken, when she was told of her brother's death. The news had been broken to her by her daughter, Princess Victoria. 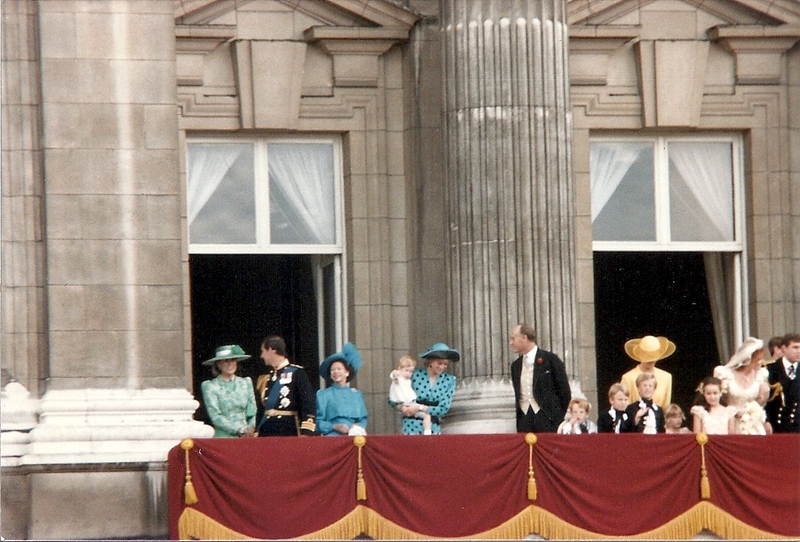 King George is survived by his wife, Queen Olga, and six of their eight children, Constantine, who has succeeded as king, George, Nicholas, Marie, Andrew and Christopher. One daughter, Alexandra, died in childbirth, and another daughter, Olga, died as an infant. He is also survived by three sisters, Queen Alexandra of Great Britain, the Dowager Empress Marie of Russia and the Duchess of Cumberland. The new King Constantine is married to Princess Sophie of Prussia. Their eldest son, George, becomes the Diadoch, or Crown Prince of Greece.